Facebook Page Activity Hits The Feeds! 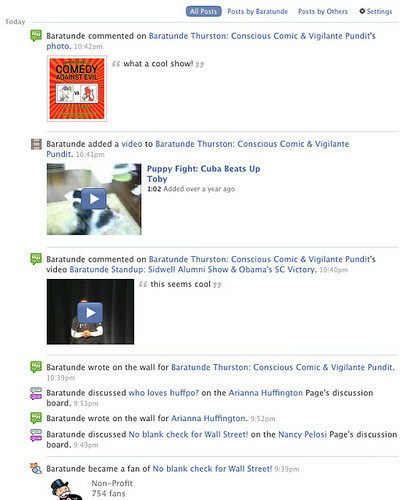 Facebook Page Activity Hits The Feeds!, originally uploaded by baratunde. Thanks to a conversation with Jon Pincus, I just found out that Page activity (beyond becoming a fan) will hit the facebook newsfeed for the following actions: commenting on video, posting to discussion board, posting to wall, posting a fan video. What doesn't hit feed: inserting a posted item.